Charles Darwin was an English naturalist who is famous for his work on the theory of evolution. There was no proof that his theory was correct during that time, until the discovery of DNA came along and proved his theory true. While travelling on the ship called the HMS Beagle, Darwin noticed many features about the animals. He learned that even though the birds from the different islands are the same, they had different beaks because of the different environments that they lived in. Not only that, but the tortoises that had different patterned shells and colours depended on which islands they lived on. Thus, Darwin created a new theory called natural selection, meaning that organisms will evolve by gaining traits that fits them into their environment to survive. 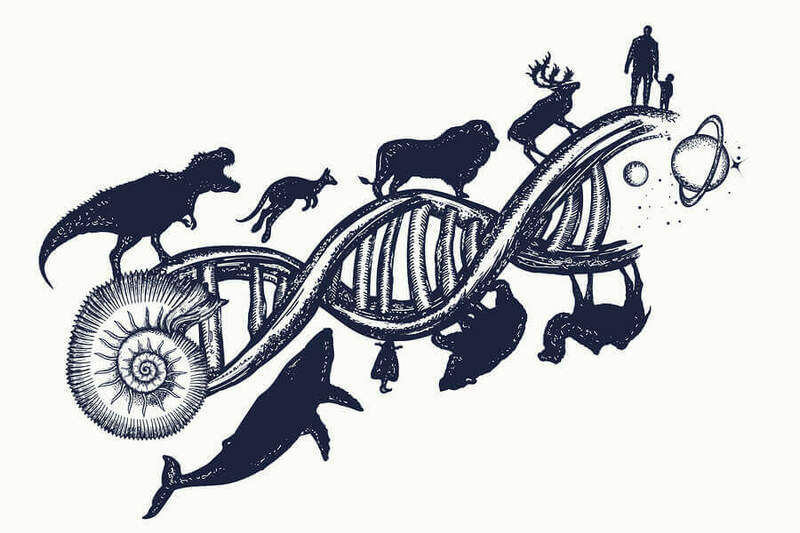 The discovery of DNA allowed us to study the different organisms and how they are descendants from other organisms. This showed that different organisms were similar at one point until they adapted to the different environments that they lived in. For example, the bones inside a human ear are developed from fish gills, showing the little changes in the DNA bases can create large changes in different species. Nowadays, scientists know that there are parts of DNA called switches that turn on and off specific genes. This is how all forms of life are related in their early stages of life, but evolves to be different if put into different environments. This proves that it is possible for more complex organisms to be related to simpler organisms. DNA showed us how organisms evolve and adapt, and with DNA, we can check the ancestry of organisms. In the future, we can use DNA to keep and get rid of specific genes. The more knowledge we find from DNA, the more knowledge we have on life and evolution. This entry was posted in Biology 11, Grade 11 and tagged Bio11ADarwin by victorx2016. Bookmark the permalink.